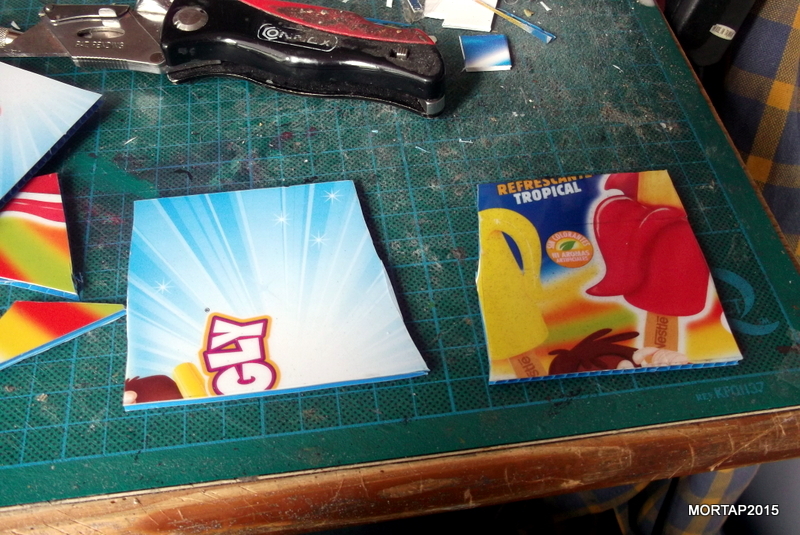 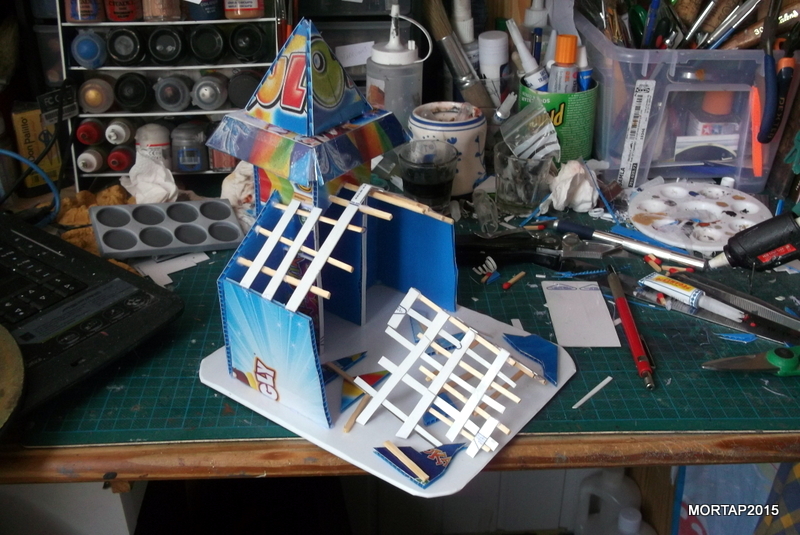 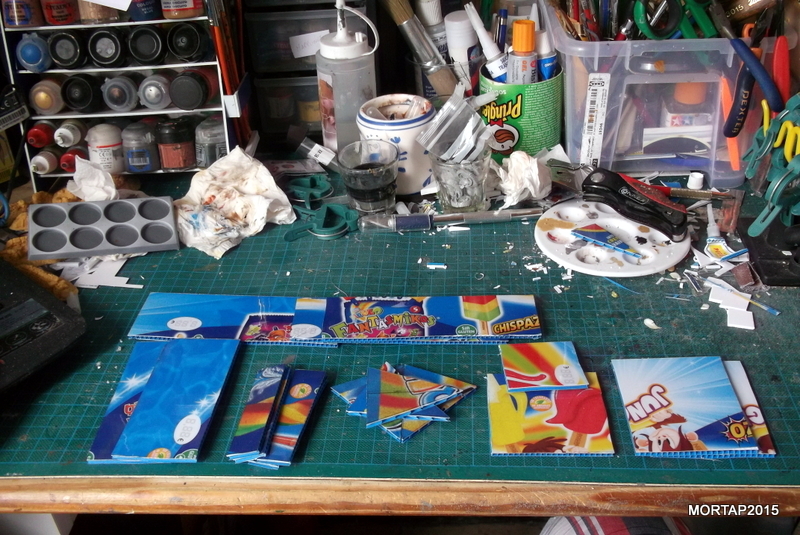 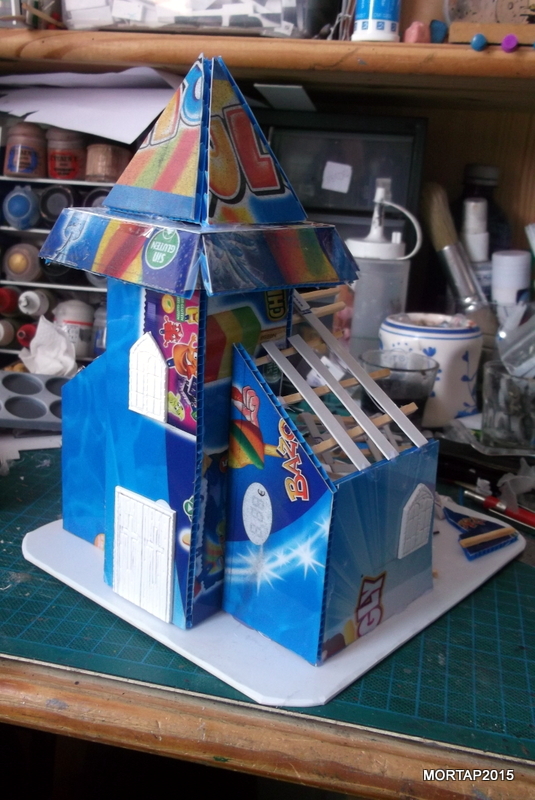 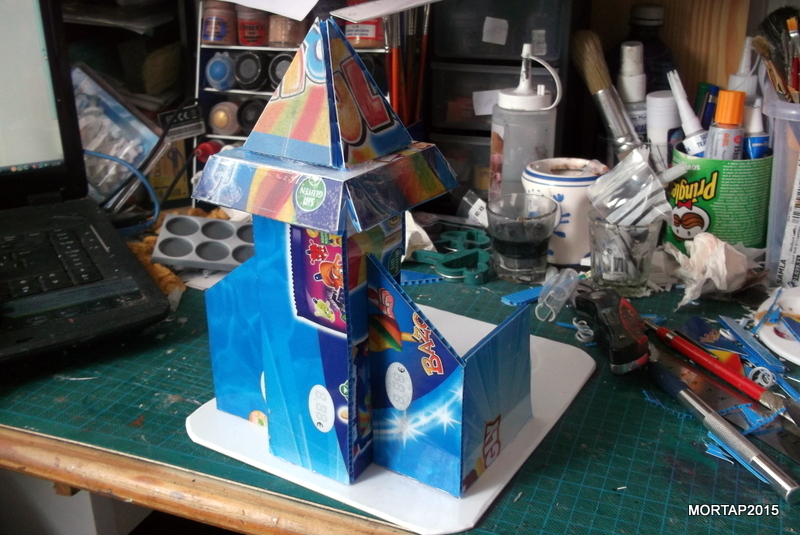 I found very cheap stuff to build it: an ice cream plastic banner of 3mm, big matches, cardboard of a cereal box and foamed PVC of 2mm for windows and doors. 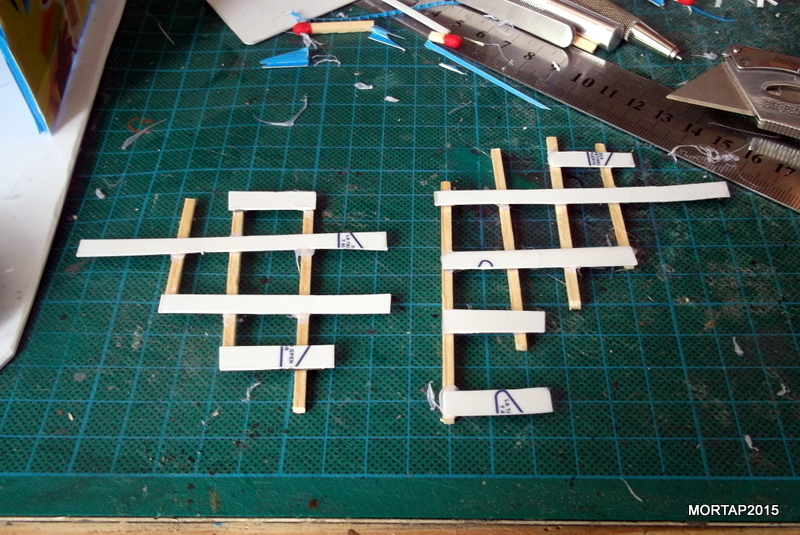 To prepare the base, we will cut two pieces: one for the building (20 x 17 cm) and other one for the destroyed roof (13 x 10 cm). 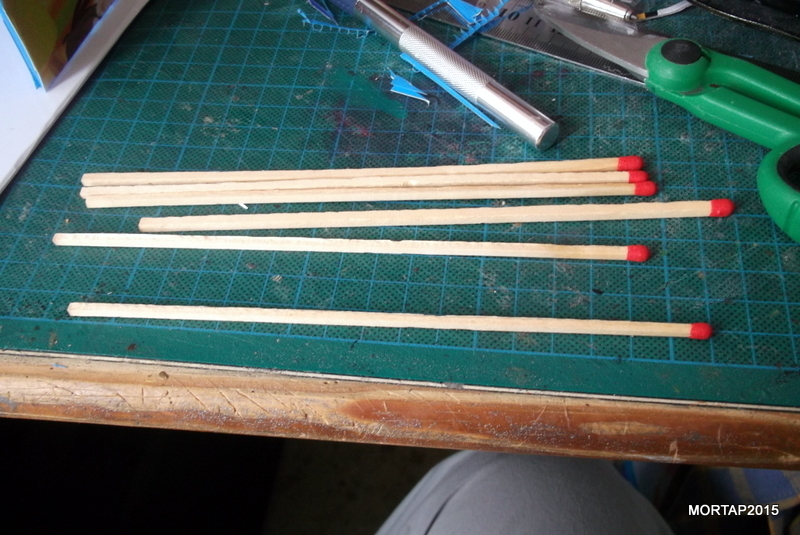 While I am working, I usually modify the original idea. 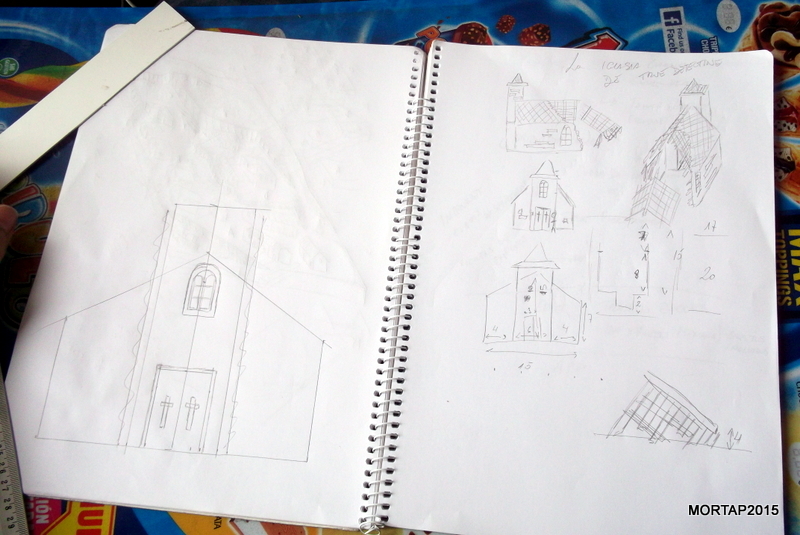 This is quite common, especially when you are working without any real plan. 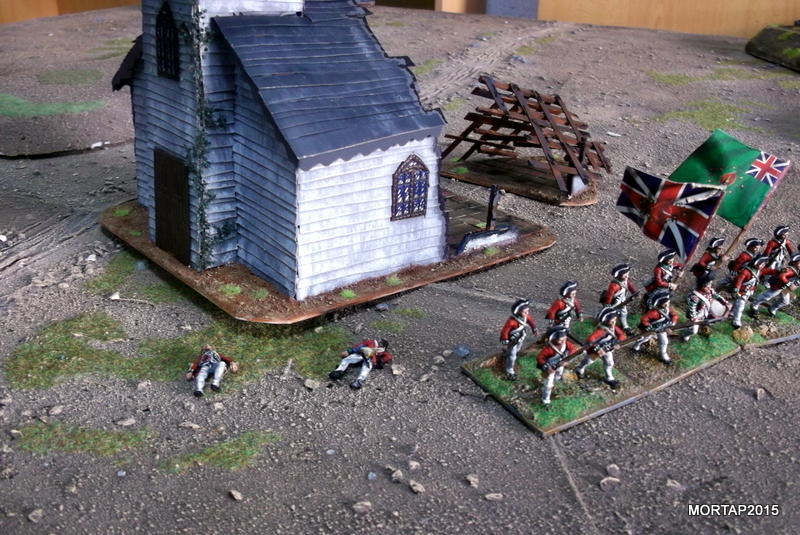 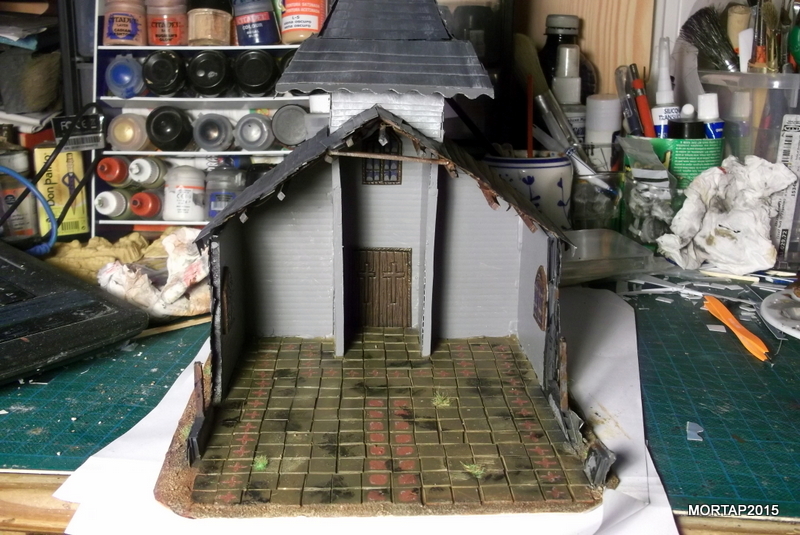 Therefore, I changed the original floor of the church, where the debris have been replaced by a clean tiles base. 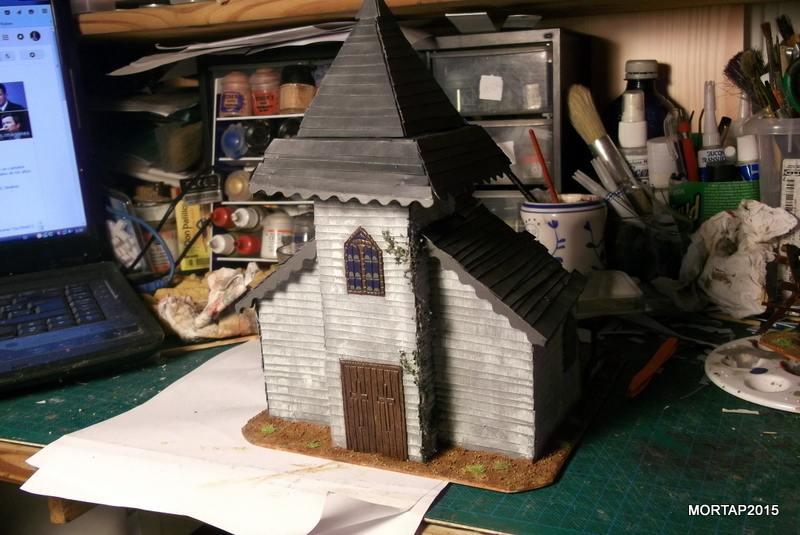 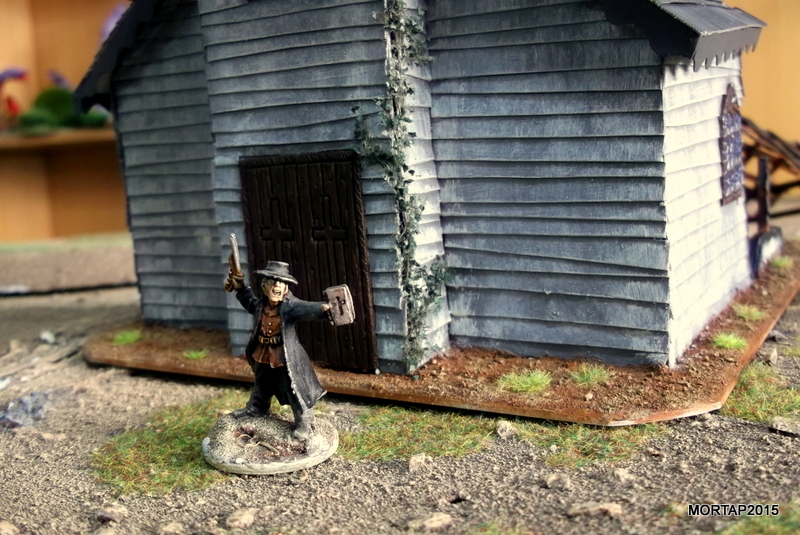 So, now we start working on the church. 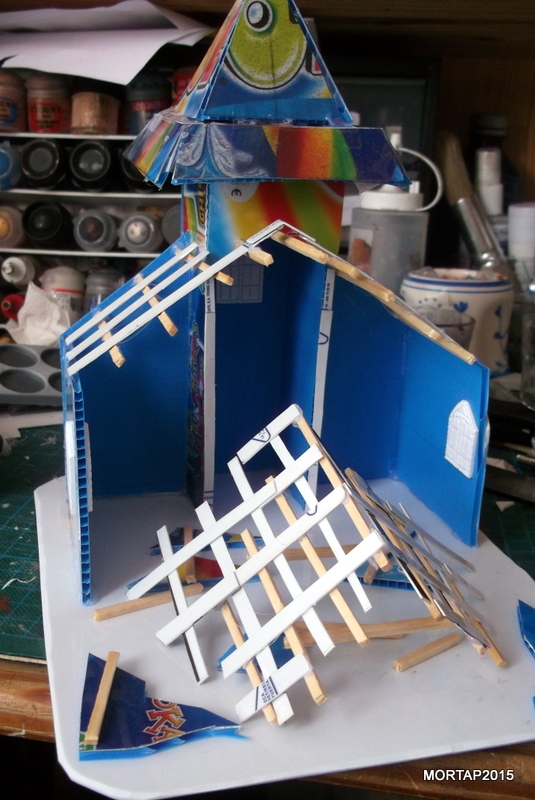 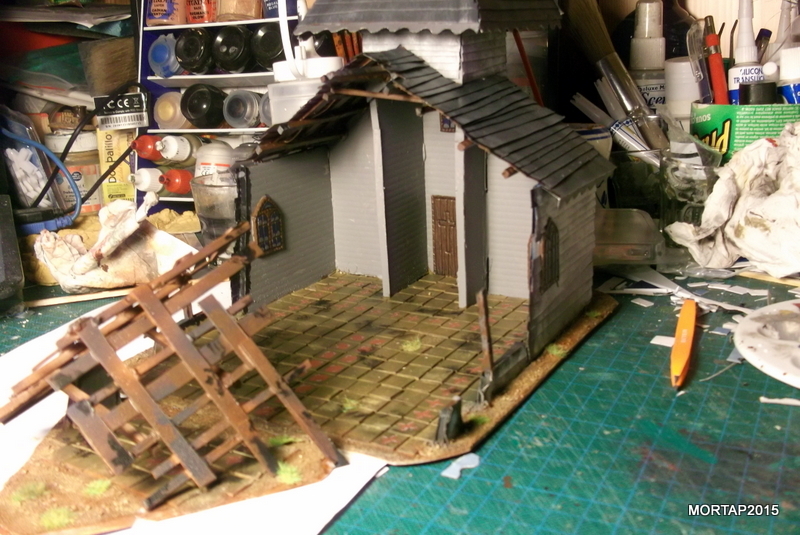 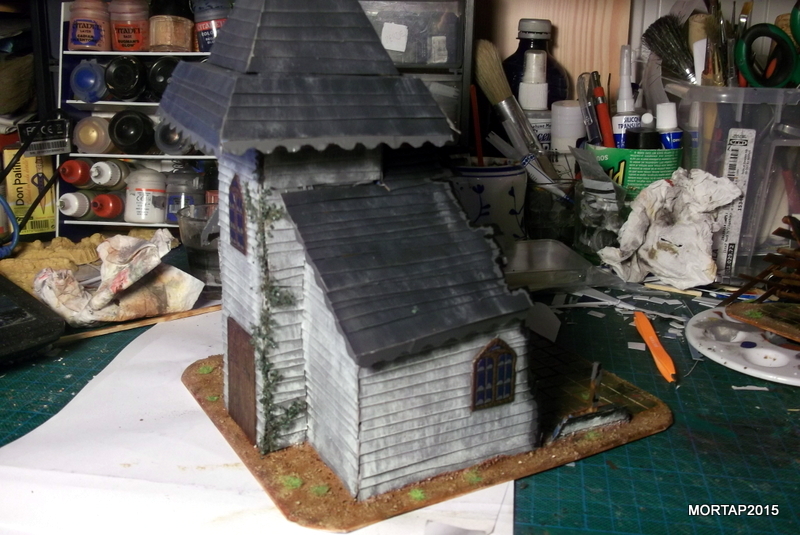 First we start cutting all the pieces following the pictures (note, taking into account the position of the roofs). 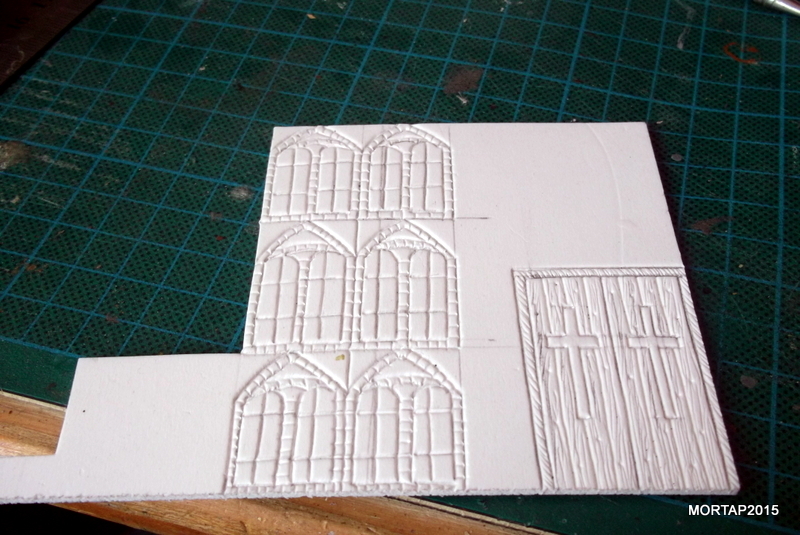 In addition, we will work more specifically the church side walls (8 x 7 cm pieces), where we can make weird cuts to simulate the destroyed or burned part. 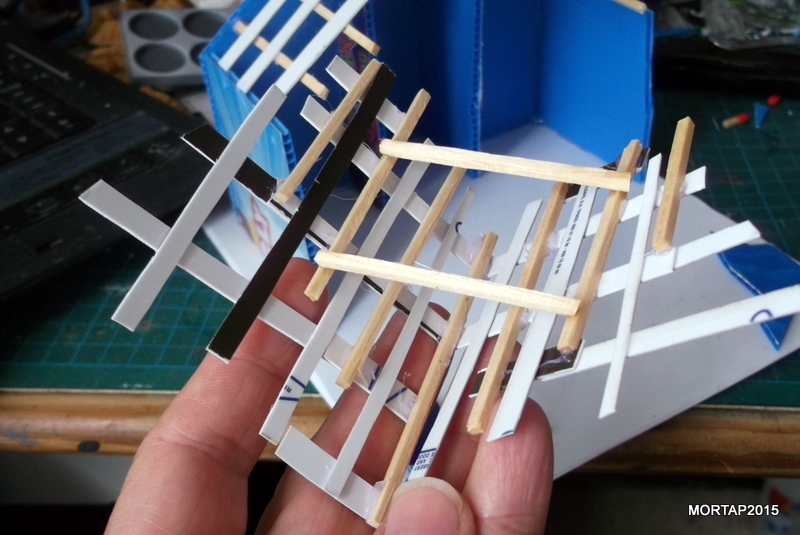 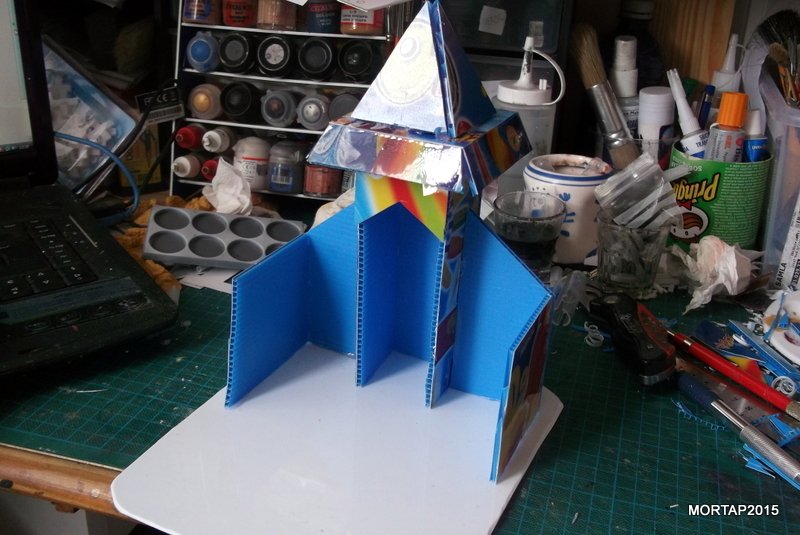 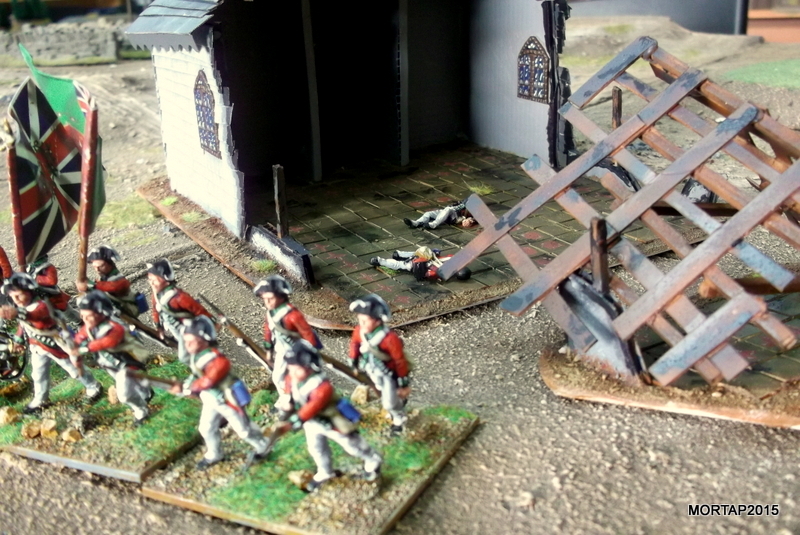 The four 5 x 7 cm pieces will be transformed into triangles to build the tower roof. 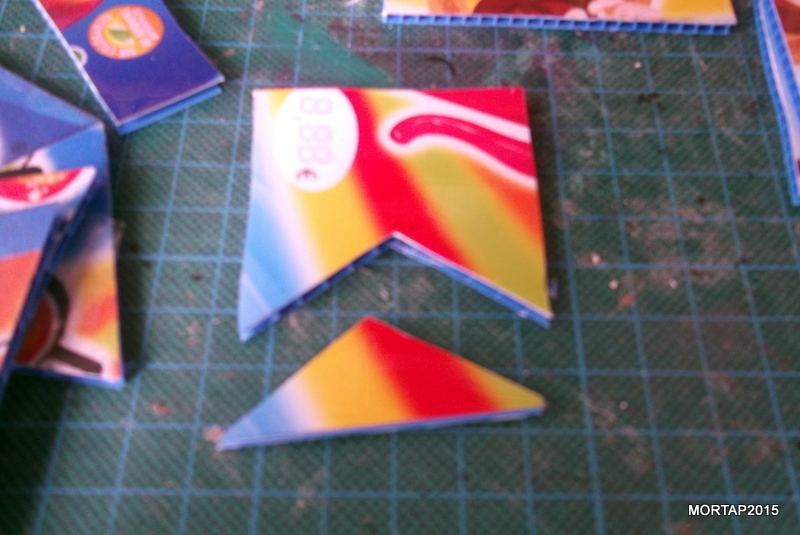 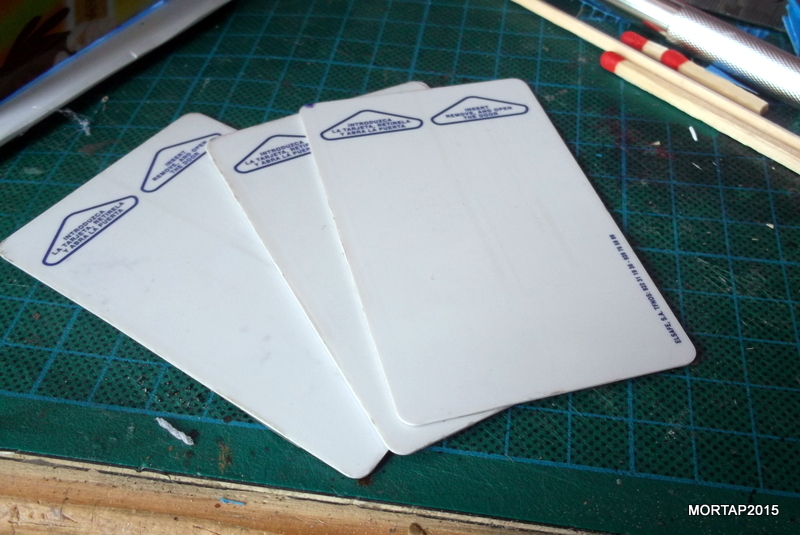 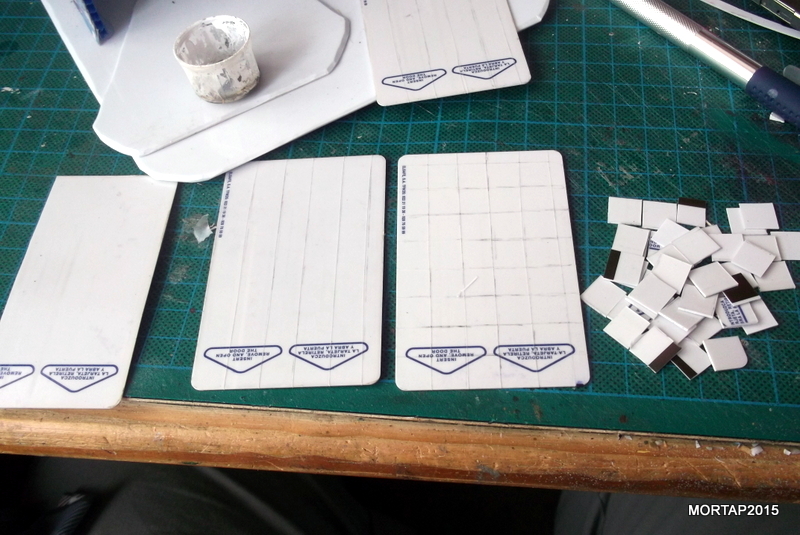 And finally, the 6,5 x 2 cm pieces will be transformed into trapezius of 6,5 x 2 x 5,5cm. 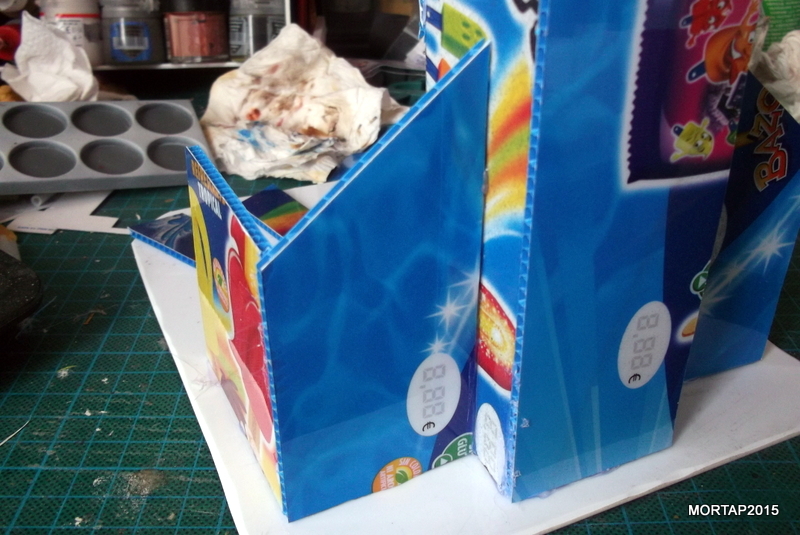 Using foamed PVC and a knife we can sculpt the windows (3 x 2 cm) and doors (5 x 3 cm), which need to be prepared by duplicate because we need to put them both outside and inside. 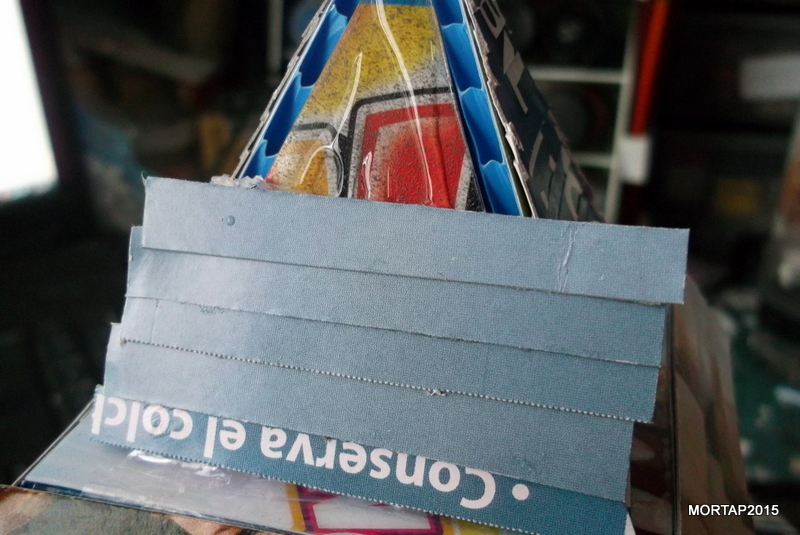 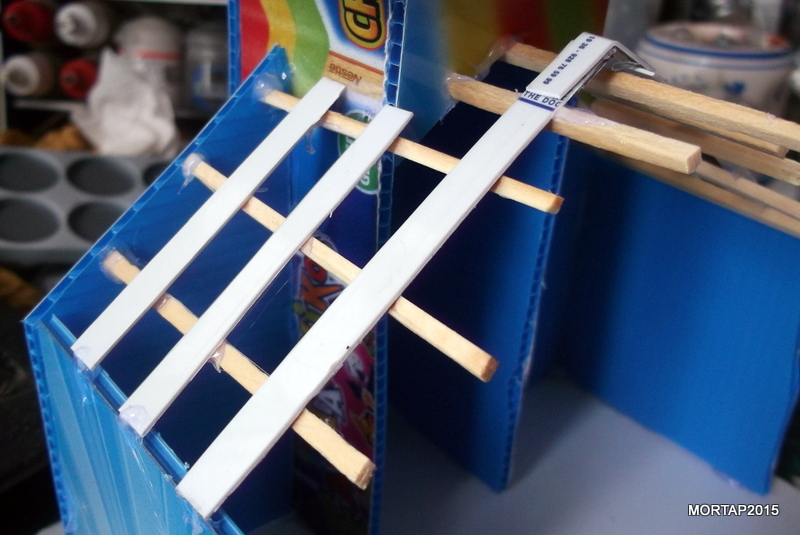 Using the cereal box cardboard we start cutting stripes of 6 or 7 mm to wrap the building and the intact roof. 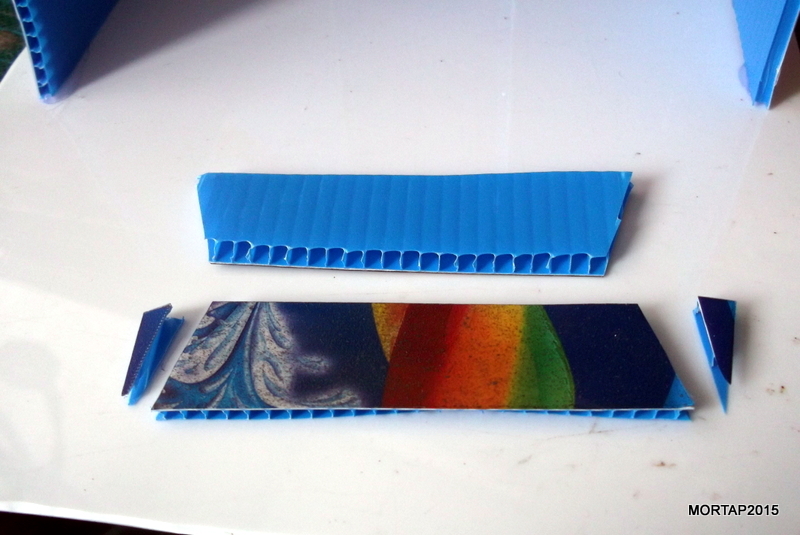 We cut 1cm tiles of foamed PVC to cover the floor on both bases. 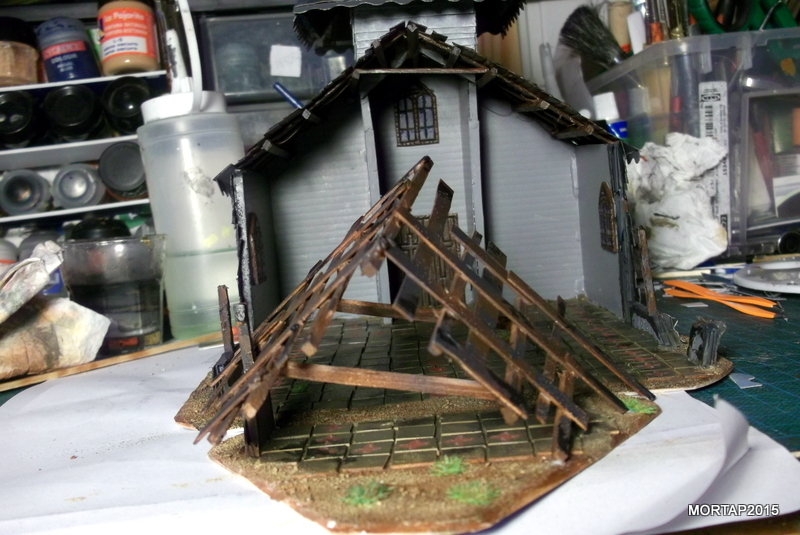 Finally, we add some sand on the ground, apply the primer and paint the building.